Our Certifications - Progress House, Inc.
On December 4, 2017 Progress House was notified that we had become an approved Recovery Works provider. Designed to provide support services to those without insurance coverage who are involved with the criminal justice system. Dedicated to increasing the availability of specialized mental health treatment and recovery services in the community for those who may otherwise face incarceration. Intended to supplement community supervision strategies to decrease recidivism. Within the general public, the prevalence rate of people who have a serious mental illness or substance use disorder is 5.4% and 8.8%, respectively. Of the current prison population, 16% of inmates have a diagnosed serious mental illness. Over half of those incarcerated in our State Prisons (53%), and just under half (45%) in our Federal Prisons, have a substance use disorder diagnosis. Of the population who return to prison, the percentage of persons with a substance use disorder reaches 75%. There is a prevailing need for a partnership between the criminal justice system and mental health and addiction service providers, in order to reduce recidivism and encourage recovery. In 2012, the Council of State Governments Justice Center (CSGJC) prepared a white paper titled “Adults with behavioral health needs under correctional Supervision: a shared framework for reducing recidivism and promoting recovery,” which provided an outline on how corrections, mental health and substance use disorder systems can share a commitment to help individuals successfully address their needs and avoid criminal justice involvement. In 2015, the Indiana General Assembly passed House Enrolled Act (HEA) 1006, “Criminal Justice Funding,” which established the Forensic Treatment Services Grant Program through the Division of Mental Health and Addiction (DMHA). This grant program will fund a voucher-based program that will give vouchers to providers that offer specialized services to those struggling with mental illness and/or substance abuse and addiction. This voucher-based system is intended to cover the cost of services for individuals without insurance or Medicaid. HEA 1006 grants $10 million for the first year of the program and $20 million for the second year. This voucher program, referred to as Recovery Works, will work with entities that are DMHA certified/licensed and demonstrate competency in the treatment of populations with criminogenic risk factors. Recovery Works focuses on pre-incarceration diversion services and post-incarceration re-entry services, which not only hopes to divert low-level offenders from incarceration to community services, but to reduce recidivism by 20%, as well. Promoting recovery through community support and treatment/intervention is critical in reducing the number of persons with mental health and addiction disorders that are entering our criminal justice system. On November 1, 2017 Progress House was certified a Level IV Recovery Residence per the National Association for Recovery Residences (NARR) Standards by the Indiana Affiliation of Recovery Residences (INARR). 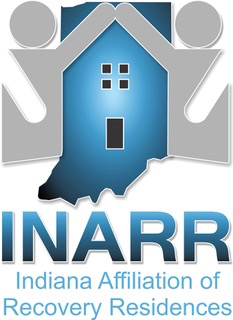 Indiana Affiliation of Recovery Residences (INARR) is an alliance for individuals and organizations operating quality recovery housing in Indiana. Recovery housing associated with INARR meets quality standards established in accordance with national quality standards and state and federal regulation. INARR focuses on improving associates’ knowledge of recovery from substance abuse disorders and establishing practices to benefit both residents and housing operators. We strive to improve the public perception of recovery housing by promoting excellent, well-maintained housing as well as offering outreach and education to Indiana communities. 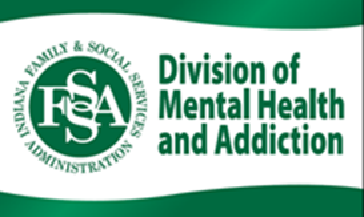 A state affiliate of the National Alliance of Recovery Residences (NARR) and a subsidiary of Mental Health America of Indiana (MHAI), INARR in cooperation with the Division of Mental Health and Addiction (DMHA), creates and maintains standards of excellence for recovery housing in Indiana. These standards meet or exceed expectations of NARR and DMHA, while providing a review process that regularly documents ongoing commitment to national quality standards. INARR is NOT a regulatory body; we are an organization focused on quality.